This award winning production from our friend Martyn Ould at the Old School press, is a triumph of inventiveness. 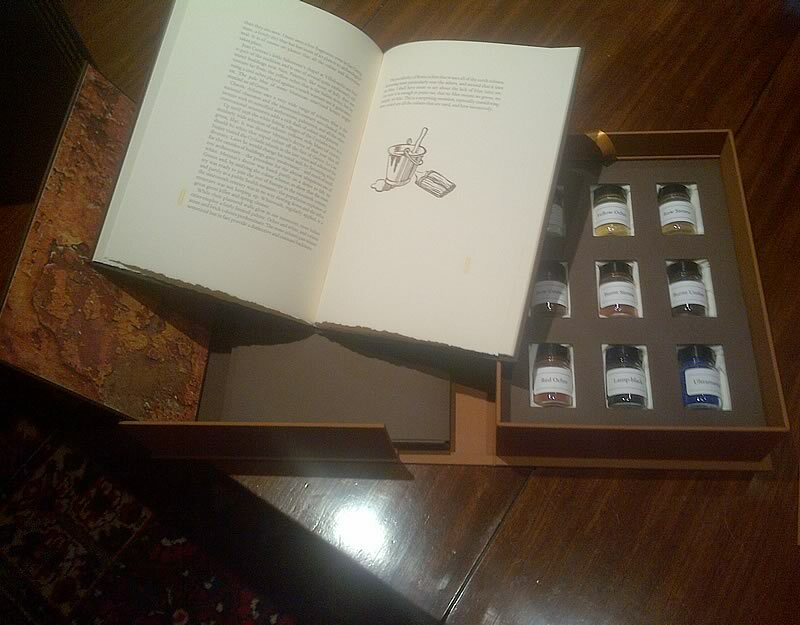 Nine bottles of pigment needed to be housed in the base then we made a false floor with ribbons to take out and the a book and portfoilo all housed in a Solander box. Fabulous Packaging for a fabulous production!